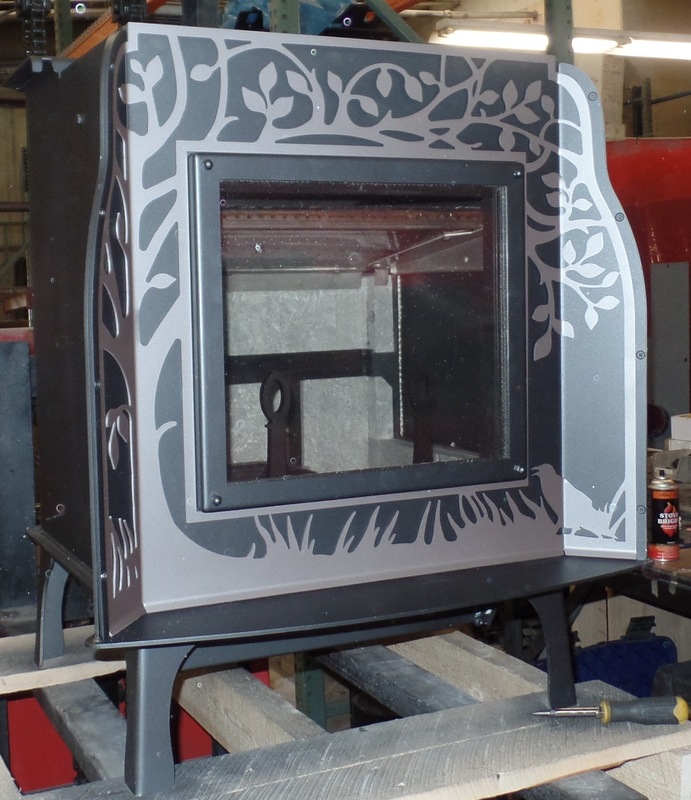 Our new Absolute Steel Hybrid Stove is shipping, and we think now is a good time to give you a tour of what is going on - both inside, and outside. 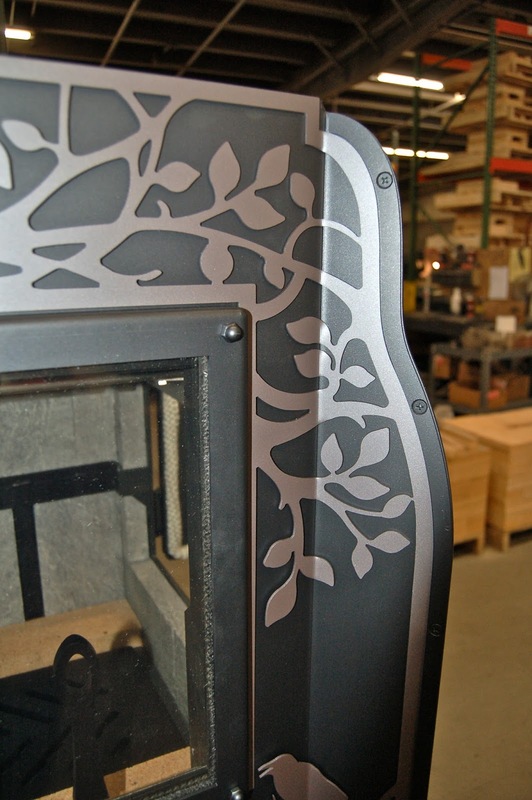 The Absolute Steel Hybrid has a firebox that is completely lined with soapstone. 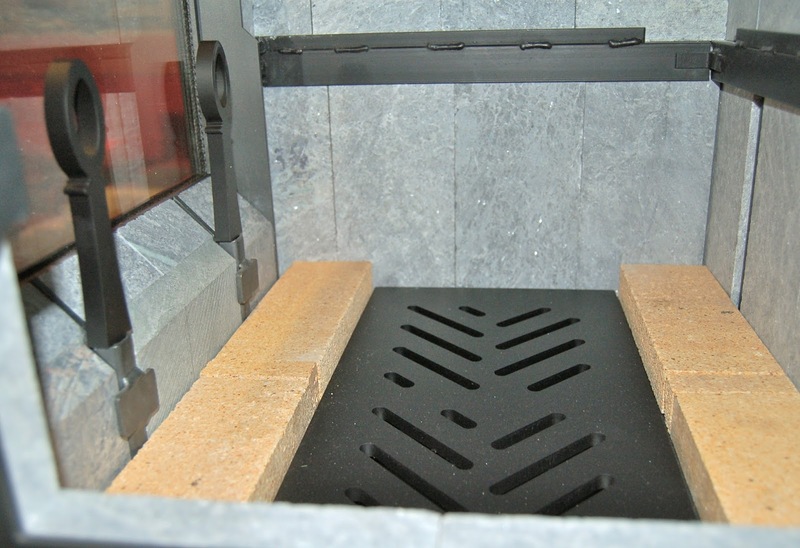 The stove has a large ash grate in the center of the floor of the firebox. There are diagonal slots in the grate to make it easy to slide an ash rake across the surface. The firebox is 19” inches deep, from the soapstone inside the loading door, to the soapstone wall opposite the door. Two removable andirons sit behind the front window. They extend up above the firebrick 8” to 9” inches. The front soapstone liner is tapered to direct the air-wash down into the coal bed. 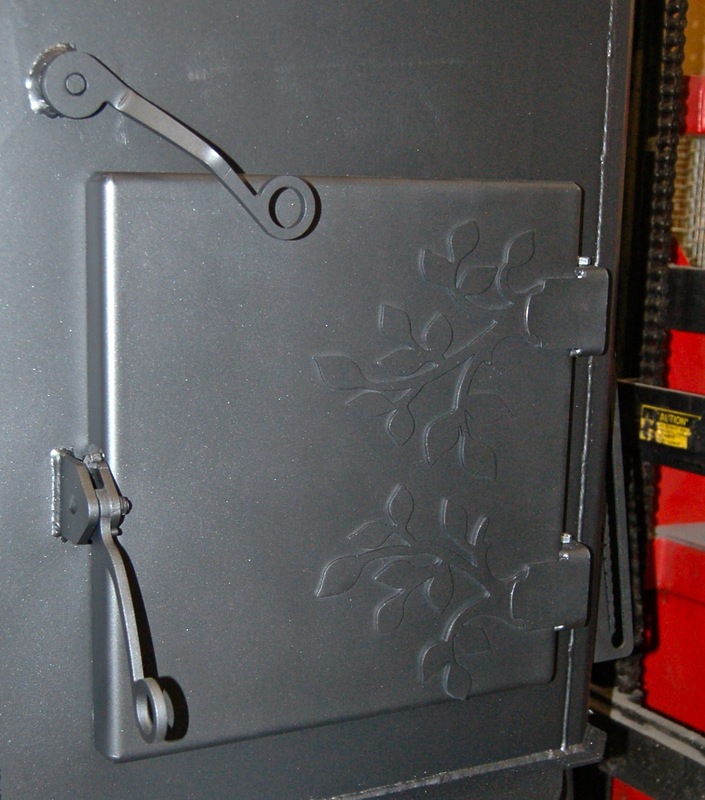 Moving along to the outside, the decorative front panel on the Absolute Steel Hybrid is held in place by a thick trim band (see picture). The top has a complementary design on every model except the “Great Plain” (hence the name). We will post additional color combinations shortly. 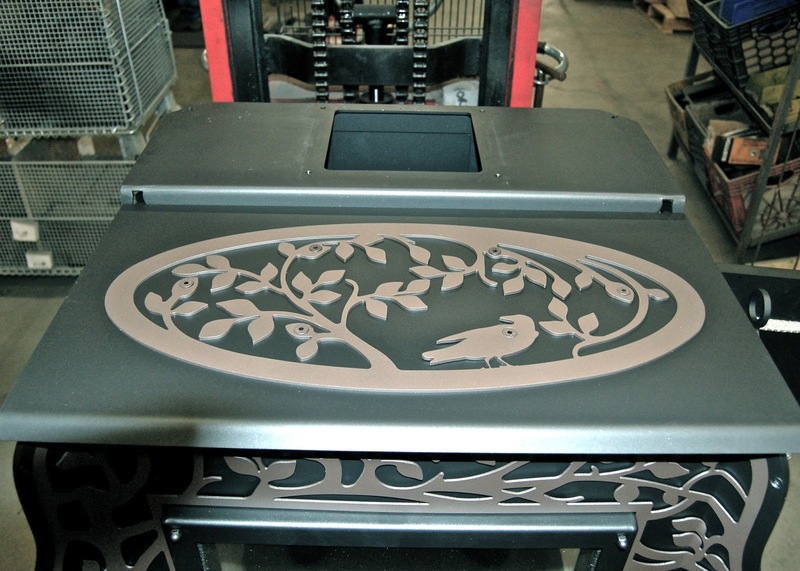 The metallic brown detail on a charcoal base is one combination we are particularly fond of. Like her brother, the Ideal Steel Hybrid, the Absolute Steel Hybrid has a bypass damper that “interlocks” with the side loading door. You have to open the bypass before you can open the loading door. 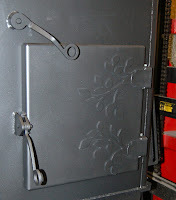 The loading door is completely lined with soapstone, so it feels like a bank vault door (strong and sturdy), and, more importantly, it makes the entire firebox completely lined in soapstone. This lining helps to maintain high temperatures and insure complete combustion. 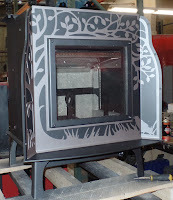 The first of many Absolute Steel Hybrid stoves has shipped today, it is an exciting time here at the factory. Stay tuned for more pictures, more information, and more excitement!